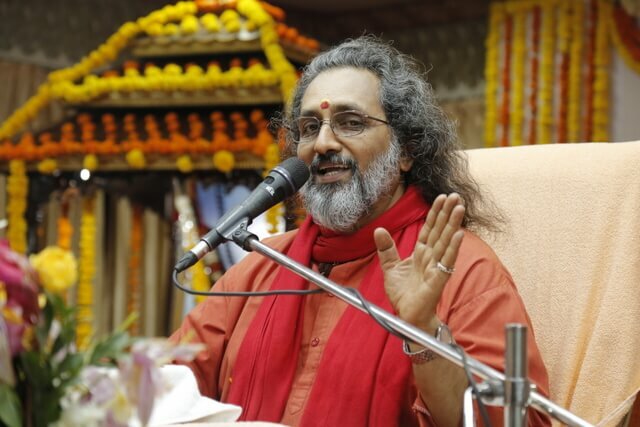 Swami Amritaswarupananda Puri was in Mumbai on 3rd & 4th February to conduct a 2-day program of Satsang, Bhajan and Dhyan. 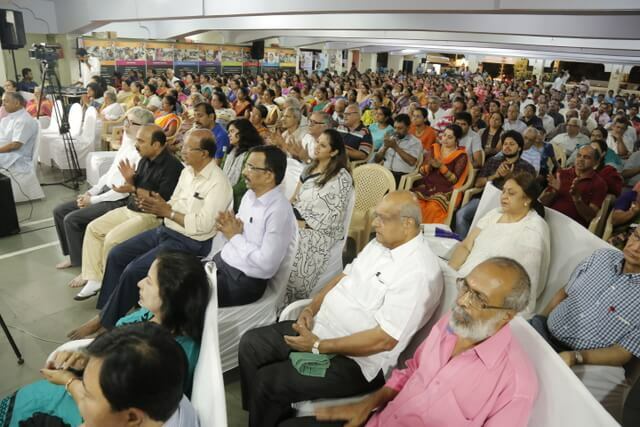 The program on the 3rd was held at the Swaminarayan Temple, Dadar. 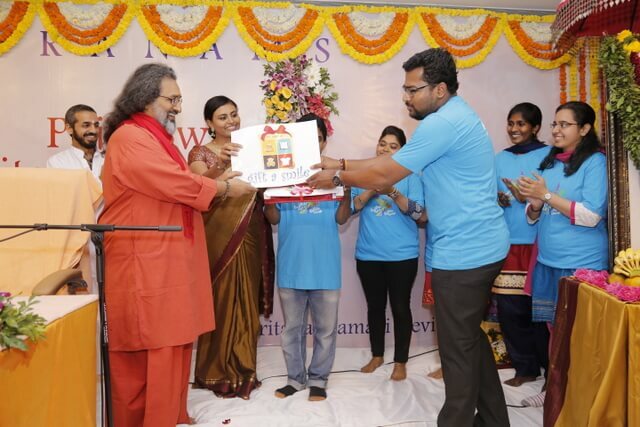 After a traditional reception accorded by Mumbai devotees, Swamiji inaugurated the ‘Gift a Smile’ initiative undertaken by AYUDH, Mumbai. Swamiji then addressed the attentive audience with a discourse on the topic, ‘Spiritual Demonetization.’ In his address, Swamiji stressed on the need to discard all negative tendencies that hinder one’s progress on the spiritual path. After a melodious bhajan session, Swamiji led all present in a guided meditation session. Swamiji’s program at Nerul Ashram started with distribution of school kits to school-going children of Ransai, the village adopted under Amrita SeRVe. Swamiji regaled one and all with a thought-provoking discourse, wherein he extolled the infinite compassion of Amma, with personal anecdotes and incredible incidents. He then enthralled the audience with some soulful bhajans, followed by a session of guided meditation. The program concluded with the Maha Arati.